They signed on to become channel partners. 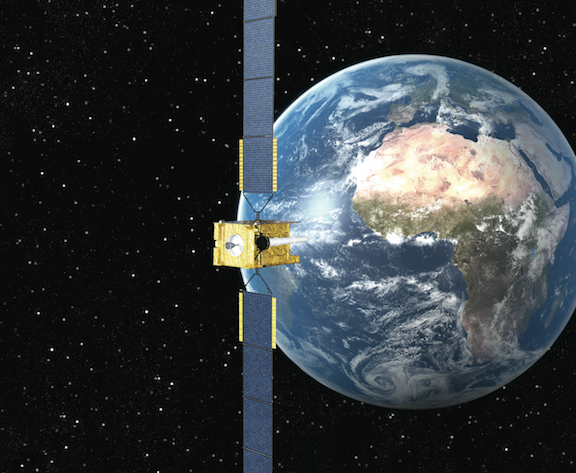 Airbus Defence and Space and Intelsat General will be in the channel partner program for Skynet 5 military satellite communication services in which Intelsat General provides to the US government Skynet X-band and UHF services as part of their mobile and fly-away communications portfolio. As part of a program to develop new partnerships Airbus Defence and Space is working with service providers to deliver flexible Skynet military satellite communication services to the Asia Pacific region, following the move of its Skynet 5A satellite from 6 degrees East to 95 degrees East to provide global X-band and UHF coverage in this region. Since the move of Skynet 5A in September 2015, Airbus Defence and Space has signed nine channel partner agreements with companies in the Asia Pacific region and in the USA. Richard Franklin, Head of Secure Communications at Airbus Defence and Space shared that this new partnership will enable Intelsat General to offer Skynet services to their already strong existing customer base, and the services will be using the newly relocated Skynet 5A satellite, enabling users to operate in the Asia Pacific regions, and augment and compliment their existing services. Skot Butler, President of Intelsat General Corporation (IGC) commented that in order to accommodate customer requirements for in-demand UHF and protected X-band communications, they have formed a strategic alliance with Airbus for use of their Skynet fleet. He continued that their customers’ needs are paramount and this partnership will allow IGC to increase its capabilities to accommodate new services in the Asia Pacific region. The Skynet fleet will complement their new high-throughput satellite platform, Intelsat Epic offering C-band and Ku-band services globally.